When it comes to funding successful crowdfunding campaigns, Alex Daly is known for having an impeccable record. She's helped run some of the most successful Kickstarter campaigns to date, such as a limited reissue of Massimo Vignelli and Bob Noorda's cult-status New York City Transit Authority Graphic Standards Manual and Neil Young's PONO Player project (which racked up well over $6 million in pledges!). Through her extensive and successful crowdsourcing experience, Daly has been deemed by hordes of press as "The Crowdsourceress". Her knack for viral promotion and keying into what makes projects great is precisely what led her to starting Vann Alexandra, a consultancy that runs successful campaigns for different projects and companies. 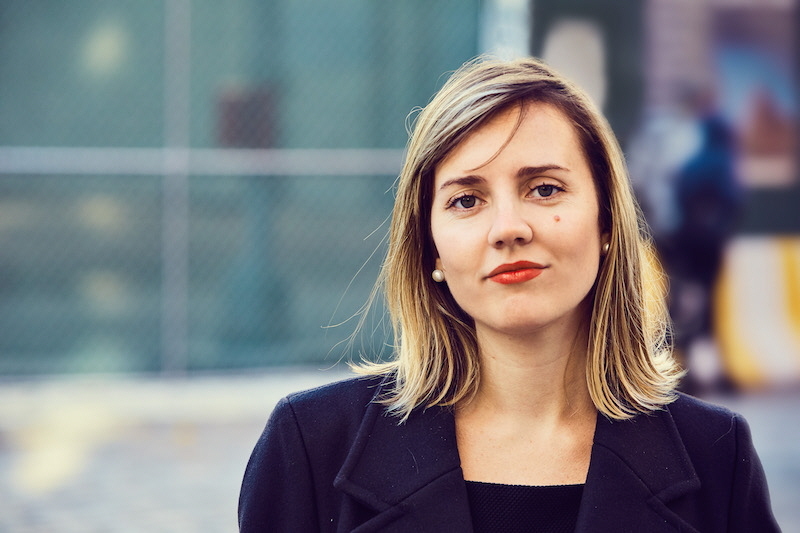 After running Vann Alexandra for some years now, this week she reaches another milestone—her new book The Crowdsourceress: Get Smart, Get Funded and Kickstarter Your Next Big Idea has just been published. Her motivation for writing the book, she tells Core77, came from a general air of disappoint after reading plenty of how-to books: "I think there's a lot of how-to books that really don't tell you how to do anything. They say, 'Oh you want to launch a business? Or you want to get a great new job? Have a great resume.' And it's sort of like, is that all I'm going to get out of you?" She emphasizes that this book comes from a place of good will in that she "wanted it to be like a handbook", full of helpful tips people can actually use. And may I just say, the book in many ways does just that—from small details (for example, the best day of the week to launch a Kickstarter campaign) to big ones (like a general plan for how to get media attention), there aren't many questions Daly leaves hanging. Whether you have questions about how to put together a reasonable budget, ideate on awesome prizes or key into the right audience that might help your project go viral, the treasures are all there for the picking. There's also a handy resource section at the end of the book that includes details like a week-to-week to-do guide prior to launching your Kickstarter campaign. 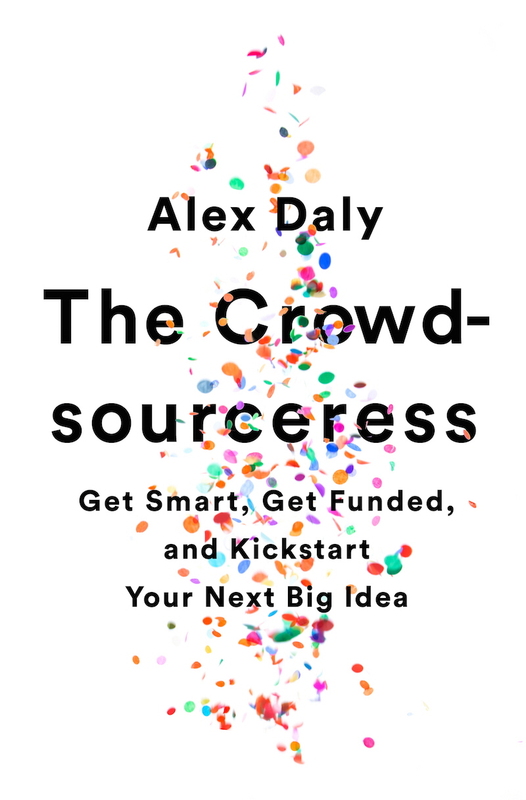 From details small to big, there aren't many crowdfunding questions Alex Daly's book "The Crowdsourceress" leaves hanging. Let's say you're reading this and you're thinking to yourself, "but I'm never going to start a crowdfunding campaign, so I don't really have a need for any of this information"—well, don't be so sure. Daly notes, "as I was writing [The Crowdsourceress], I could tell this kind of work that we do can be applied to so many other launches. 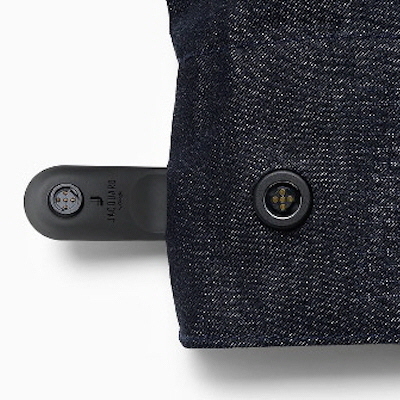 I think that the way the world is moving in terms of products is that they're all launching online. This is something that can be applied to people that launch a company or new project… in fact, I'm doing this with my own book." 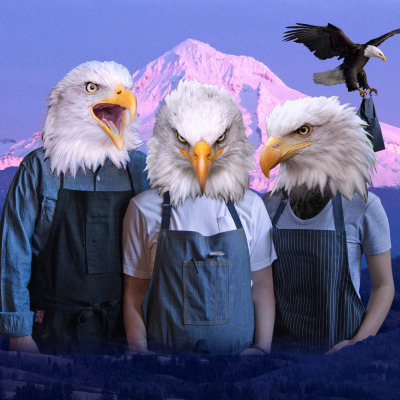 Given the importance of the internet and its ability to make or break a product or project, Daly's tips far exceed the somewhat particular Kickstarter realm (and Daly did point out with hesitation, Kickstarter isn't for everyone— "there's some businesses that are very B to B. They're not consumer-friendly. That definitely isn't for crowdfunding."). If you're clueless about how to write a proper press release, Daly coaches you through it; in fact, she even provides direct examples for comparison. Maybe you're a company strategizing your product fulfillment plans? Well, there's a section that touches on that as well. Luckily for designers, the aesthetic trials and tribulations many Kickstarter projects go through are not as much of a problem. What you may find challenging as a designer, however, is operating as your own PR pro—reaching out to the right audiences, signing onto social media and making proper media connections. In this exclusive excerpt from The Crowdsourceress provided to Core77, Daly delves into an important topic relatable to any product launch: that is, an understanding of your built-in audience. A built-in audience is the group of people, as she writes in the book, "who are inherently interested in you or your project in some way". To fund a project successfully, it's not only crucial to begin to understand who this audience is, but also where you can find them and how to incentivize them to invest in your project. What If I Don't Have a Built-In Audience? 1. START COLLECTING EMAIL ADDRESSES. The call-to-action on your website (or just a landing page to start) should be for people to sign up for your mailing list. Incentivize visitors to the site to sign up by ensuring they will be the first to know when your campaign goes live, so they can be the first to access early-bird pricing, or offering something in return, like a giveaway (a digital asset or a raffle where a new subscriber could receive a prize). The goal is to build up the biggest mailing list you can. Later, not only will you be able to reach these people by email, but you'll also be able to use the email addresses in digital marketing efforts, such as social media advertising (more in chapter 7). If you don't have social media accounts, open them. Ask your friends to follow you and to help spread the word. Follow like- minded accounts that are relevant to your project, and engage in conversations. Be strategic about developing a brand voice and sharing great content. We'll cover this in more detail in chapter 7. Identify people, blogs, reporters, and influencers who are already talking about topics related to your project. Follow and study them. Eventually, you'll want to rally as many influential people around your project as you can. 4. INVEST IN DIGITAL MARKETING. Leading up to your campaign, you can use digital marketing, like social media advertising, to drive people to your website or landing page where you can capture email addresses and build your audience. When it comes time to invite others to support your project, show journalists and influencers that you did your research. Send screenshots of their tweets or mention specific stories they wrote that connect to your mission. Let them know you know what you're talking about, and that your project directly relates to their interests. While you are doing all the above, invest in hiring a designer early on to create a strong brand identity (and if your campaign is for a product, the product design). You will base your social media, campaign page, messaging, and video off this necessary design work. It's how you'll establish a professional visual brand identity that commands attention. We talk about this in chapters 2, 4, and 5. 7. BE YOUR BIGGEST CHEERLEADER. You love this project. This is your baby! Make sure that everyone knows that you love it, and why they should love it too. When you show how devoted you are to your project, people connect with that. The Crowdsourceress is now available for purchase on Amazon.